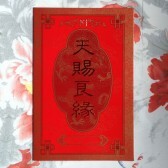 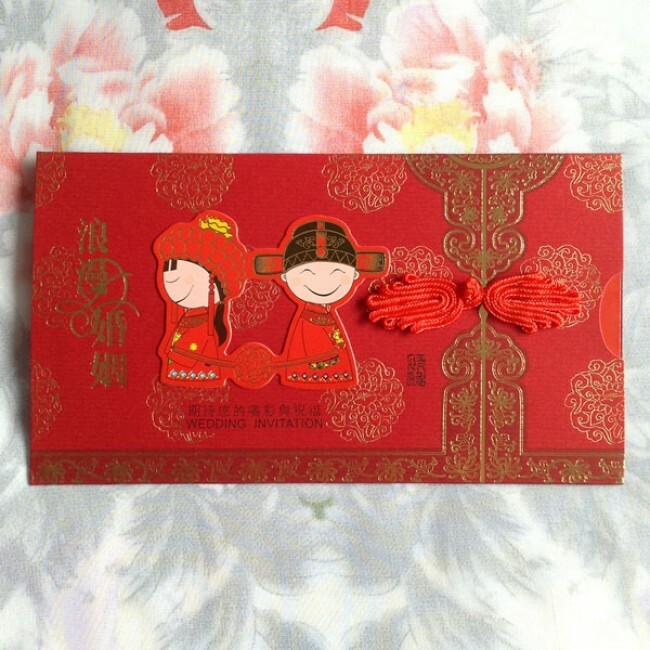 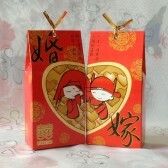 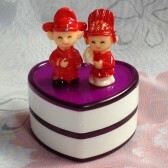 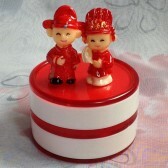 The invitation is designed with a bride and a groom in traditional Chinese wedding dress, the Chinese knots, and the Chinese symbols for "romantic wedding". 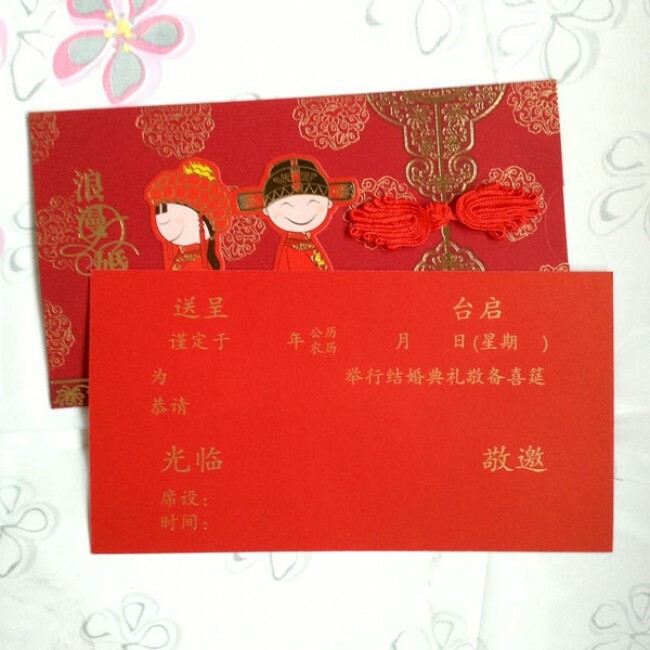 The insert enters from the side of the card. 4 1/2" X 8 1/16" (11.4cm x 20.5cm), inserts and envelopes included.